Investors poured money into exchange-traded funds tracking homebuilders yesterday on strong earnings and an opportunity to buy the industry’s dip. The SPDR S&P Homebuilders ETF, ticker XHB, took in US$111 million Tuesday, its largest inflow since 2014. Investors also traded US$437 million worth of the fund’s stock on the day, more than quadruple the average daily volume for the past year. 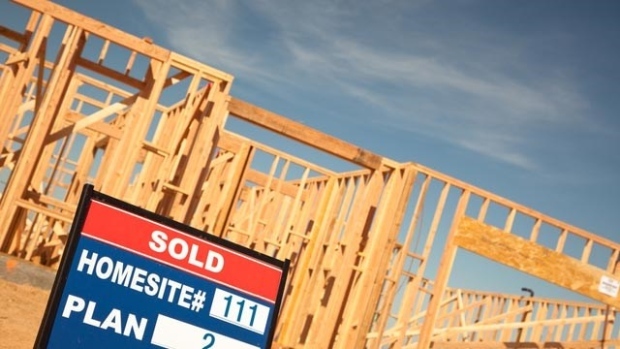 XHB shares, which are down around 11 per cent this month and 23 per cent this year, rallied 5 per cent during the session, helped by strong earnings from William Lyon Homes and new data showing the U.S. homeownership rate increasing. “This was an oversold and washed out group, and was ripe for a bounce.” said Christian Fromhertz, chief executive officer of Tribeca Trade Group. William Lyon said long-term fundamentals remain strong given the record-low unemployment rate and growth in jobs. In addition, the homeownership rate in the U.S. rose slightly to 64.4 per cent last quarter from 64.3 per cent in the previous month. The gain could be a sign that first-time buyers are seeing opportunities as the housing market cools. The report helped lift the S&P 500 Homebuilding Index 4.8 per cent Tuesday, although it remains down 30 per cent for the year. Homebuilders have come under pressure due to rising mortgage rates, a slowdown in demand and housing affordability issues. But a rebound in U.S. pending home sales could help a comeback. Contracts to buy previously owned homes rose for the first time in three months, an indication that the recent market slump could be stabilizing, National Association of Realtors data showed last week.